It’s no secret that, for many moons now, I have been trying to beat the game with mechanical methods of play. In large part, because I simply don’t have time to handicap like I did 5-6 years ago… nor do I enjoy the process like I used to. It is also no secret that I have been largely unsuccessful in this endeavor. Don’t get me wrong: I’ve found some great systems and angles — ones that, through testing, I am confident will continue to offer solid ROIs for months and years to come. But, alas, they all suffer from “Tony Romo Disease” — they don’t show up often enough to produce consistent, meaningful returns. Still, I love the idea of a mechanical method that can, at the very least, help guide one’s wagering decisions. So, with that in mind, I decided to slice and dice the Brisnet Prime Power Rating and see if I could find any helpful wagering angles. While these numbers may surprise some readers, who assume that higher prices naturally mean higher profits, they are, I have found, very indicative of what happens when one looks for overlay opportunities with “obvious” contenders. Caveat emptor applies at the racetrack too. A horse that looks like a legitimate 2-1 shot does not necessarily offer “value” at 20-1. Rather than rushing to the window to empty one’s 401(k) on such horses, players should ask themselves a simple question: Why? Why is a horse with so many positive attributes (remember, the Prime Power rating is a comprehensive assessment of ability) being dismissed in the wagering? What is the crowd considering that the Prime Power rating is not? Granted, some of these horses are, in fact, genuinely overlooked. I’ve witnessed numerous animals that I thought were fairly-priced at 2-1 or less pay double digits — but that is the exception, not the rule. * Top prime power rating of 100 or greater. * Top prime power rating of less than 100. * Finished fifth or worse in last race. Of course, there is nothing to say that these numbers will continue to hold, but I hope they illustrate both the pros and cons of a mechanical approach. On the plus side, using the Brisnet Prime Power rating is quick and easy and, in some instances, profitable. On the negative side, all mechanical approaches suffer from one major drawback: they can only measure what was… not what is or what will be. Nonetheless, handicappers willing to put in the time to validate or invalidate a mechanical rating might very well profit from the experience. 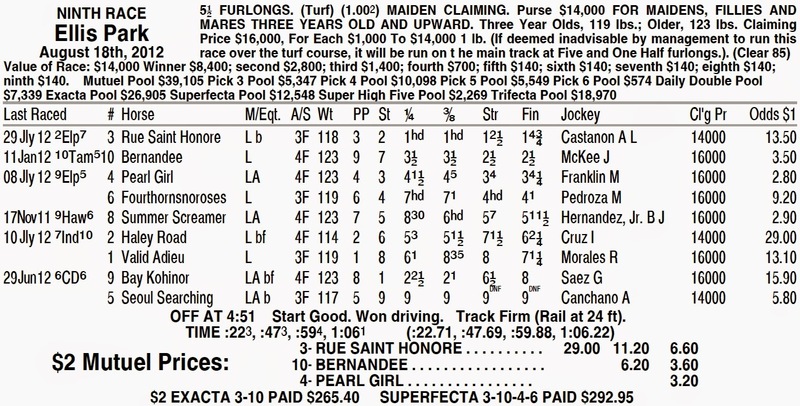 NOTE: Rue Saint Honore had a race-best 95.6 Prime Power rating and finished 7th in her last race on July 29, 2012. This cool, thanks for sharing. Are these test limited to just dirt races? The score rate is supposed to go up to 60% when the difference is greater than 10 points in prime power. Coming back within a month only marginally improved the stats, BTW. Do you have any queries between the Prime Power and the odds the horses went off, or Prime Power and their beaten lengths? For example, in the 10 point advantage Prime Power horses my guess is the average beaten lengths is 0 and odds are less than 1/1. What about horses within 2 points of the Prime Power? What do they average in odds, and beaten lengths? If one could get a relationship on this one could structure a fairly effective oddsline. How were you able to test these ideas/angles? Does Brisnet have some kind of software to backtest ideas or angles?